A splash of color will give you waves of enjoyment & at the same time it attributes to emotional feelings and perception too. 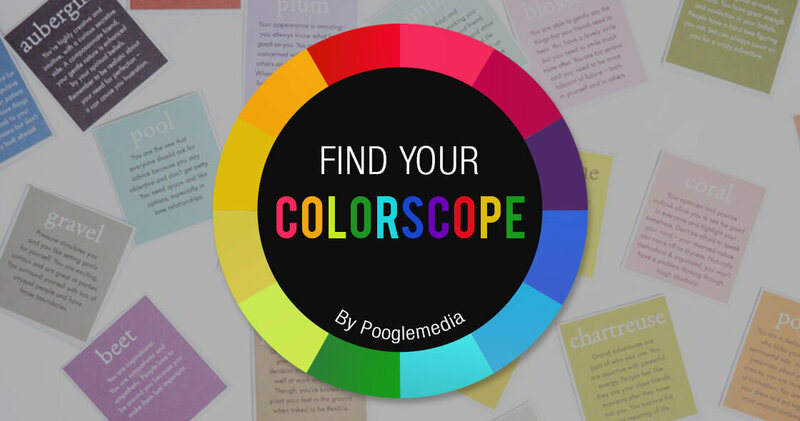 Like the color palette,“Colorscope” is synchronizing, colors– and then learning how those colors reflect your personality. Personality color does not have to be one you wear all the time; it is usually your favorite, the color that excites you the most and makes you feel alive when you see it.That being said, you are often drawn to your personality color for Brands, Products and home decorating etc. It is often a predominant color in your aura. Pick your favorite color to reveal what it says about your personality! Writing off from the desk of Poogle between the fun at work and zillion cups of Coffee! Share the creative bombs & forget not to subscribe to our awesome and saucy news! Looking for full serivce Branding angecy ? Enter your name and email address to subcribe for our monthly newsletter.